The Eowave Skiff cases are made of metall. Aluminum side panels give them a premium look. The case offered here is 104 HP wide. 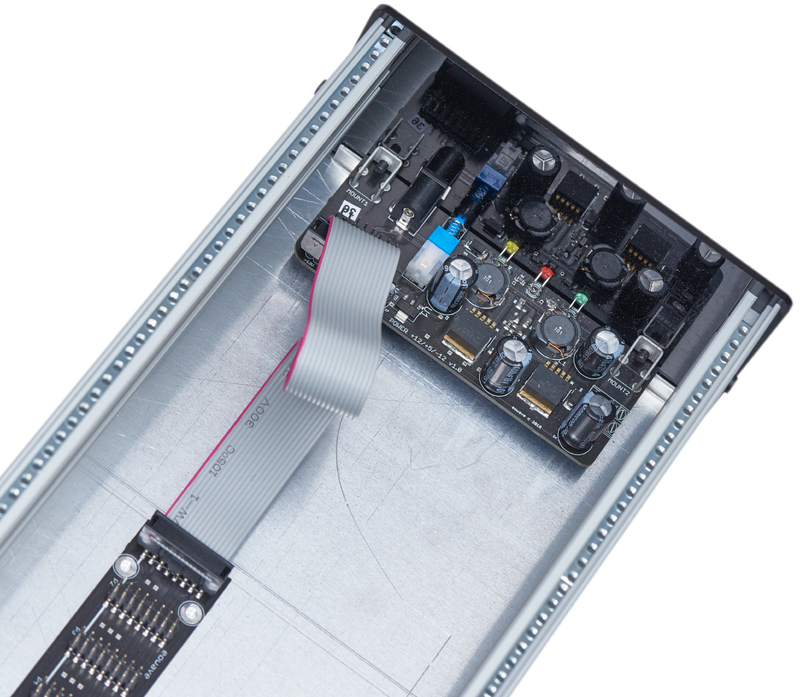 A power supply with Bus Board is built-in. 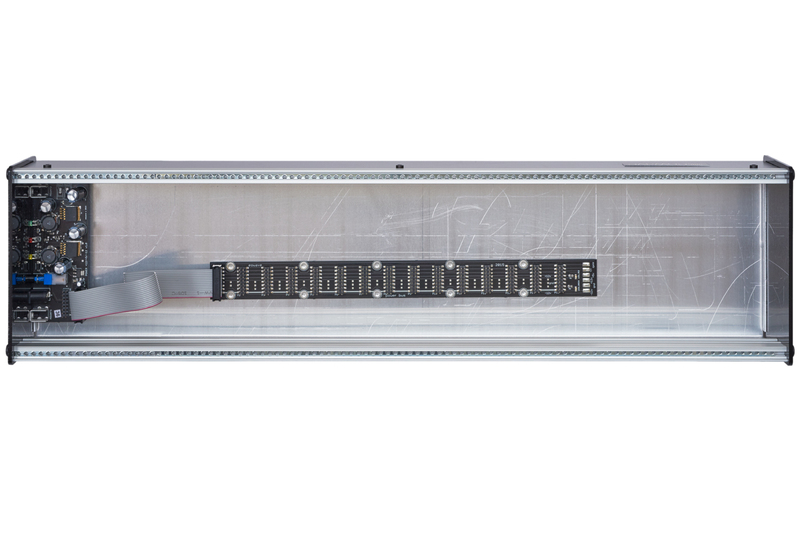 Modules with a depth of up to 60 mm can be mounted in the case. 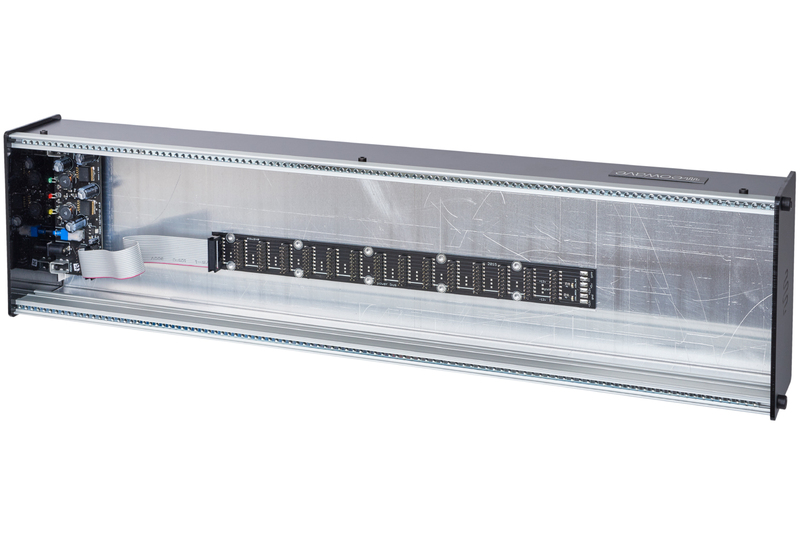 Directly above the power supply’s circuit board, modules with a depth of 40 mm can be fitted. The Bus Board comes equipped with a total of 14 headers for connecting oscillators, filters and so forth. A second (Flying) Bus Board can be retrofitted. An external power pack with 1.4 A is included in delivery. – Enough power to provide approximately 500 mA at +12 V and -12 V plus 15 mA at +5 V. For using the full capacity of the built-in power supply, a power pack with 4 A is needed.